Today's card was a challenge in a different way. 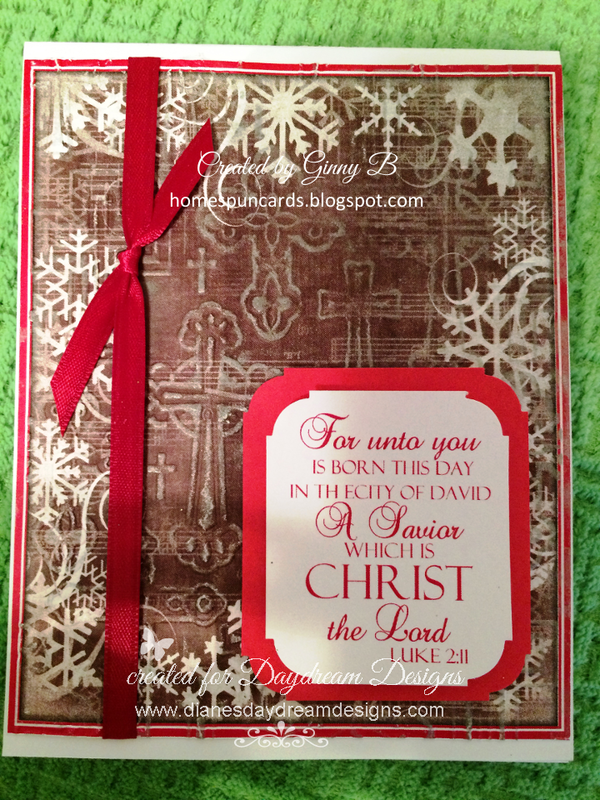 The guidelines were that it must be an embossed Christmas card, and that in addition to the sentiment, it can have only ONE EMBELLISHMENT! This is because a group of us are sending Christmas cards to a lady who has moved to another country, so that she may send cards to her friends this Christmas. The restriction on embellishments is because they must fit into a flat envelope for easier shipping. Wish there could have been more splashy 3-D embellishments, but these were the rules. After the patterned paper was embossed, the raised design was inked with silver ink so that the pattern could show up better. What a pretty embossed card. Thanks for joining us this week at Christmas Card Challenges. Beautiful, thanks for sharing with us at Polkadoodles this time. Lovely card, Ginny! Thanks for joining us at Christmas Card Challenges. Je hebt een mooie kerstkaart gemaakt. Fijn dat je meedoet bij CHCC Extra.